Security RAM is a certified RAM dealership. Our dealership is located near Westbury New York. Security RAM is proud to announce that the 2018 RAM 3500 is now being sold at our dealership! 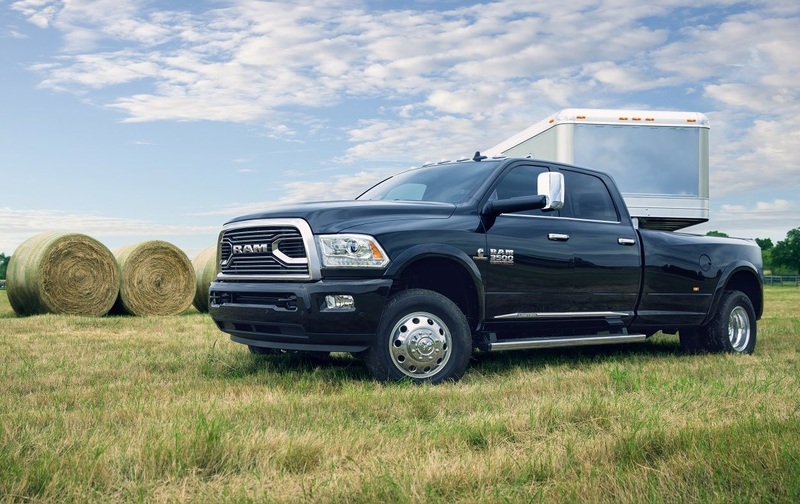 Purchasing your RAM 3500 at our dealership is a smart choice. Our sales specialist have been trained to find the best deals on all RAM vehicles, which will help you receive a great deal on your 2018 3500! The 2018 RAM 3500 is a large utility pick-up truck. It is also considered to be a special model. Not many dealerships in the United States have all trim levels of the 3500. At Security RAM, we are proud to say that we do have all trim levels available for our customers. Our dealership is ready customize your new 2018 RAM 3500 to your liking. The 3500 is a truck that surprises most people because the interior is very elegant, yet simple. The 3500 can be used for a hard day’s work, a family fishing trip, or even for a trip to the grocery store. This truck is very diverse and can camouflage in any environment. If you need a stylish work truck, the 3500 is definitely the best option. The exterior of the 3500 is handsome, aggressive, and massive! The grille on this large pick up is masculine and very strong. 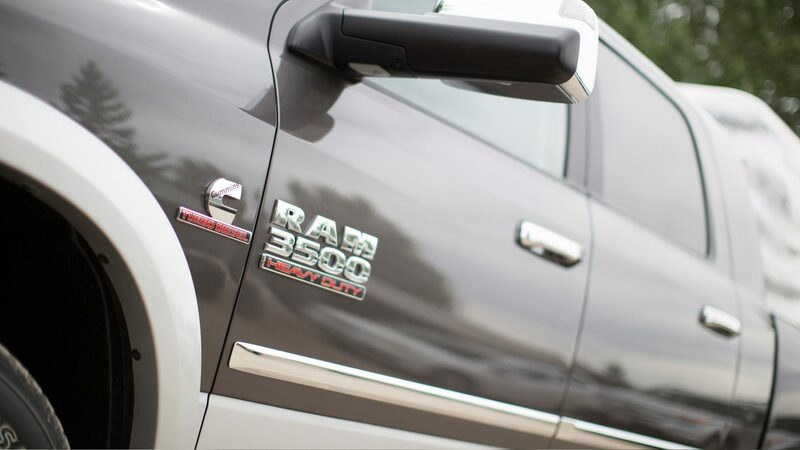 With the 3500, you can choose to purchase a Regular, King, or Mega Cab model. The higher the trim, the larger the truck’s cab will be. If you are in need of longer beds, you should consider purchasing a higher trim. If you need to upgrade your vehicle’s trim: don’t worry! We have great Westbury area specials available at our dealership. The interior of the 3500 is extraordinary! This truck has tons of storage, making it one of the most convenient utility trucks in the market. The interior of the 3500 is just as massive as the exterior of the vehicle. This vehicle can comfortably seat passengers up to 7 feet tall. One of the major benefits that the 3500 has is its large front console. This console is both wide, long, and deep. It can be used to store multiple mini tool bags, laptops, tablets, or even your lunch for the day. If you plan to have passengers in the rear of your 3500, they will appreciate how the rear seats recline. Additionally, if you need extra cargo space, you can store materials behind the rear seating area. The 3500 is one of the few work trucks that are easy to maintain. Since the 3500 is mainly a work vehicle, please make sure that you are getting your vehicle serviced regularity. It is essential that you follow the manufacturer’s recommendations for scheduled maintenance that is needed on the truck. Following the manufacturer’s scheduled maintenance will help your vehicle continue to perform properly. You should know that your 3500 will be under manufacturer’s warranty for the first three years or 36,000 miles. This means that the manufacture will cover any bumper-to-bumper repairs at no cost to you, if anything happens during this time period. The powertrain in the 3500 is remarkable. 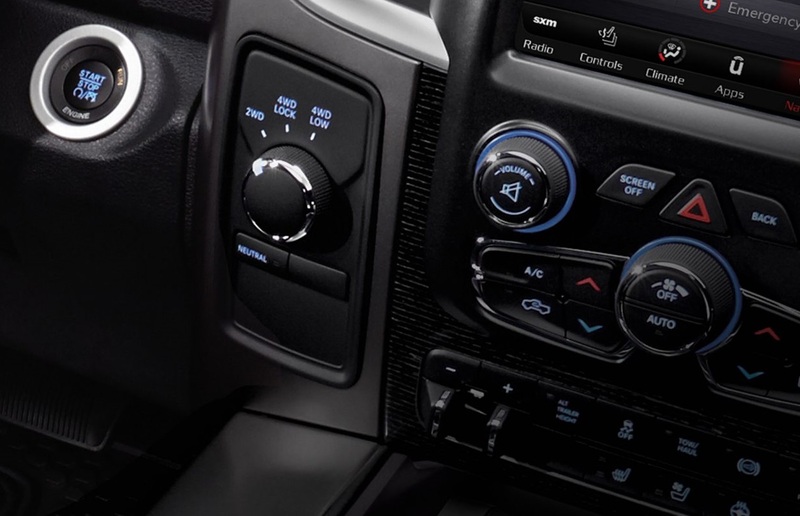 Once you purchase your truck, you will have the option to choose from three engine types. The base model comes with a 5.7 liter V8 engine. The trim after the base model comes with a 6.4 liter V8 engine. If you choose to upgrade to this model, your truck will have more torque and horsepower. The 3500 also comes in a turbocharged diesel model . The diesel model has a 6.7 liter diesel engine. If you choose to purchase the diesel model, you will have more options. This model gives you the opportunity to choose from a manual or automatic transmission. Unfortunately, gasoline models don’t come with that freedom. With gasoline models, an automatic transmission is the only option; however, they are both great vehicles. The 3500 comes in two drive trains, two wheel and four wheel drive. Luckily, if your transmission fails within the first 5 years or 60,000 miles, the manufacture will cover all expenses. If you vehicle needs any repairs, please remember, we are near Westbury New York. We always have Westbury area specials available for our customers. Safety is our first priority for us here at Security Auto. Overall, the 2018 3500 is a safe truck. In addition, our dealership goes above and beyond to ensure each vehicle is in good shape before leaving the dealership. If you are in need of a 2018 RAM 3500 near Westbury, our dealership is able to serve you! In addition, if you have any safety problems with the vehicle after purchasing it, you are welcome to bring the vehicle to us immediately. Our dealership is located near Westbury New York. The 3500 comes with airbags and seat belts for each passenger. The vehicle also is equip with parking and cab sensors. 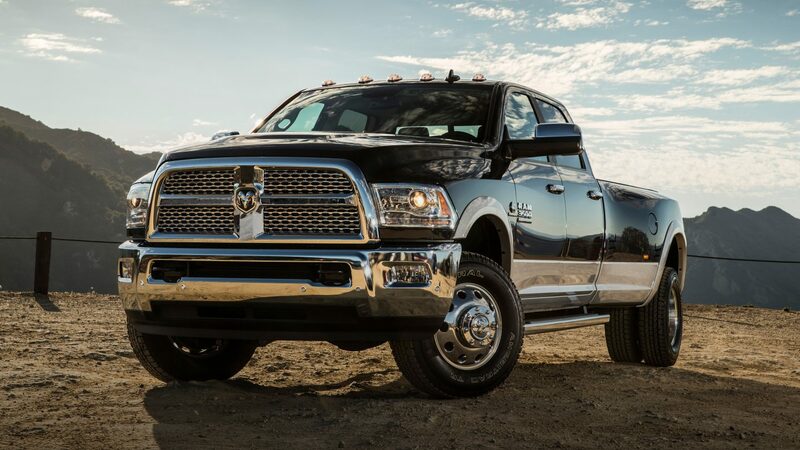 Overall, Security Auto is a wonderful dealership to purchase your 2018 RAM 3500 near Westbury. Our sales associates have some of the best Westbury area specials available for our customers. Our team is confident that we can get you the best deal on your 2018 RAM 3500 near Westbury! Please give us a call: (631) 240-0824. If you are in the area, you are welcomed to walk-in: 345 Merrick Rd, Amityville, NY 11701. Our sales associates are eagerly waiting to assist you!